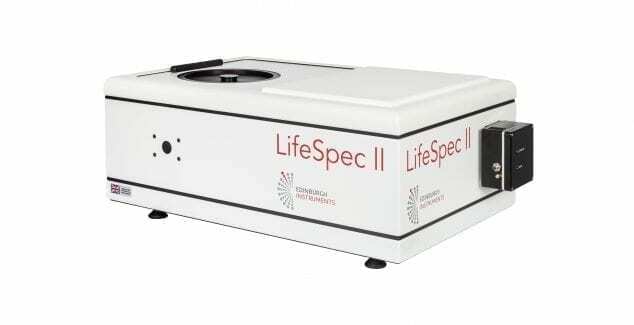 The Lifespec II is a compact, fully integrated, high performance, time-correlated single photon counting (TCSPC) fluorescence lifetime spectrometer designed for use with high repetition rate pulsed femtosecond and picosecond lasers. The system is a fully automated solution, combining hardware and software in a single package for fundamental research and routine laboratory applications. Its zero temporal dispersion optics, using double-monochromators in subtractive mode, sets the standard for technical performance in measuring ultra-fast decays. This is the only turn-key fluorescence lifetime system on the market featuring a subtractive double-monochromator, which provides for zero temporal dispersion and allows the instrument to measure fluorescence lifetimes down to 5 ps with ultrafast lasers. the powerful F980 software controls all the hardware and also analyses the raw data. With reconvolution, the software can reliably measure fluorescence lifetimes down to a tenth of the instrument response function. Data acquisition modes range from fluorescence lifetime decay acquisitions and time-resolved spectra to automated time-resolved anisotropy measurements and automated temperature maps. The LifeSpec II in the standard configuration is supplied with one detector, however, additional detectors can be added. The LifeSpec II requires at least one picosecond pulsed diode laser (EPL Series), pulsed LED (EPLED Series), supercontinuum laser or Ti:Sapphire laser (with suitable pulse picker) for operation. For more information on the LifeSpecII fluorescence lifetime spectrometer simply contact a member of our sales team at sales@edinst.com. We look forward to being of assistance. 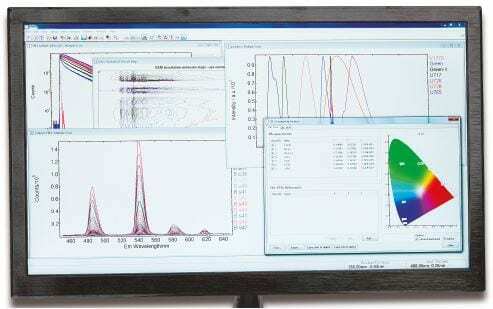 F980 spectrometer operating software is at the heart of all our fluroescence spectrometers and is a fully comprehensive, user-friendly data analysis software package. Irrespective of system configurations, this software provides the user with complete control. The F980 software is Windows 7, 8 and 10 compatible and is based on a data centred design that enables the user to focus on their measurement. This guarantees ease-of-use in the operation of a modular and potentially complex spectrometer. Measurement set-up and data acquisition is made through an intuitive menu system. Key spectroscopic parameters are easily accessed through functional groupings, while common measurement routines can be saved as method files to allow previous experiments to be easily repeated. Tabbed dialogue boxes and particular scan parameters are always visible during set-up. The current status of the instrument is also continuously displayed. A unique feature of the F980 software is that all modes of data acquisition, including spectral scanning and lifetime acquisition in both MCS and TCSPC modes, are controlled from within one software package. Modern light sources, detectors, complex sample holders (plate reader, XY sample stages, titrator) and cooler options (thermostated sample holders and cryostats) are supported and fully software controlled. Upgrade to FAST (Fluorescence Analysis Software Technology) software for the advanced analysis of fluorescence and phosphorescence decay kinetics. Picosecond Pulsed Diode Lasers and LEDs: We manufacture a range of picosecond pulsed laser diodes (EPL Series) and LEDs (EPLED Series) for Time-Correlated Single Photon Counting (TCSPC) measurements. Diodes are available over the UV-VIS spectrum starting at 250 nm and are pre-set with a range of repetition frequencies. The driver electronics are built into the light sources, making them easier to share between colleagues. 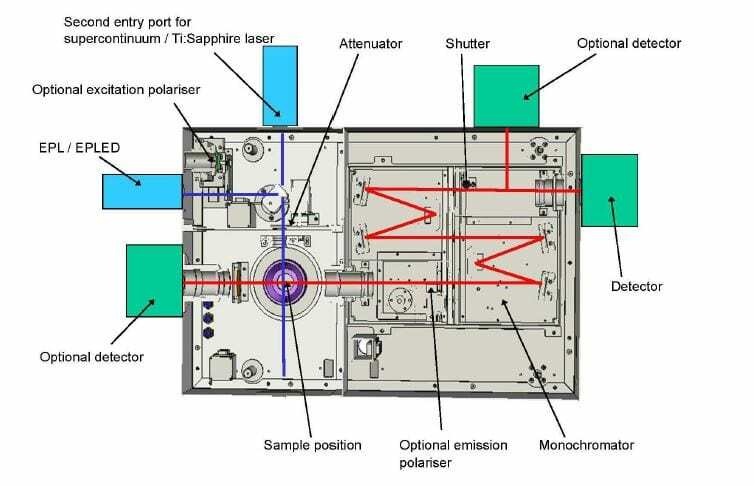 Ti:Sapphire Laser Integration: Radiation of Ti:Sapphire lasers with frequency doubling/tripling and pulse picker can be used for sample excitation. A trigger pick-up accesory can also be supplied. A Ti:Sapphire laser for TCSPC measurements can provide a short pulse width, high repetition rate (~80 MHz) and tunability. SuperContinuum Laser Integration: A supercontinuum laser can be fitted with a special wavelength selection package that allows computer controlled wavelength and spectral bandwidth selection. This package also has an integrated and optimised laser synchronisation trigger pick-up. Single Cuvette Holder: Temperature adjustable by water/coolant circulation, fitted with integrated probe for sample temperature monitoring by spectrometer operating software. Filter slots provided for holding 50 mm square filters. This sample holder is included as part of the standard system. Front-Face Sample Holders: A range of single position front-face sample holders are available for powders, thin-films and solids. These include linear staged holders, rotational holders and clamps. Please contact us for more information. 3-Position Sample Turret: Computer-controlled 3-Position Cuvette Holder on rotational stage. All three positions temperature adjustable by water/coolant circulation, with an integrated temperature probe for sample temperature monitoring by spectrometer operating software. Bath/Refrigerator (-10°C – +100°C): Closed cycle water/coolant bath to be used with water-cooled sample holders. The temperature range is -10°C to +100°C. The unit comprises digital display of set and measured temperature. The temperature range at the sample position can be reduced depending on the length and the insulation of the coolant pipes used. EPR Dewar (77 K): Liquid nitrogen dewar (quartz) in mounting collar for LifeSpec-II sample chamber with light tight seal, directly compatible to the sample chamber access flange. The dewar housing has a removable lid and built-in filter holders. Two individual EPR quartz sample rods supplied. Sample rod, containing the sample, will be immersed into the liquid nitrogen bath thus cooling the sample to 77K. Liquid Nitrogen Cryostat (77 K – 300 K): Oxford Instruments liquid nitrogen cryostat, OptistatDN. The assembly comprises the cryostat head, the temperature controller, and a mounting flange and pedestal, directly compatible to the LifeSpecII sample holder socket. Includes heater and sensor, cuvette holder, optical sample holder and sample rod. Spectrosil B quartz windows in L-geometry are used. Cryostat can be fully controlled by computer and F980 software. Note: Special cryostat versions with windows arranged in T- or X-geometry are available on request. Liquid Helium Cryostat (3.4 K – 300 K): Oxford Instruments liquid helium cryostat, OptistatCF. The assembly comprises the cryostat head, the temperature controller, transfer tube and SV12 adaptor, VC31 gas flow controller, GF4 pump, and a mounting flange and pedestal that is directly compatible to the LifeSpec II holder socket. Includes heater and sensor, cuvette holder, optical sample holder and sample rod. Spectrosil B quartz windows in L-geometry are used. Cryostat can be fully controlled by computer and F980 software. Note: Special cryostat versions with windows arranged in T or X-geometry are available on request. Liquid Helium Cryostat Extended Temperature Range (3.4 K – 500 K): Oxford Instruments extended temperature range liquid helium cryostat, OptistatCF. The assembly comprises the cryostat head, the ITC503 temperature controller, the LLT600 transfer tube and SV12 adaptor, VC31 gas flow controller, GF4 pump, and a mounting flange and pedestal that is directly compatible to the LifeSpec II holder socket. All other inclusions as the standard liquid helium cryostat. TE Cooled Sample Holder Standard Range (-10°C – +105°C): Thermoelectrically cooled 4-window cuvette holder with controller that enables stable temperature control of samples from -10°C to +105°C (-10°C with dry gas flow, 5°C without gas flow). The temperature can be held constant with ±0.02°C precision and can be rapidly changed. A magnetic stirrer (without stirrer bars) is included. The TE cooled sample holder is fully controlled by the spectrometer operating software F980. TE Cooled Sample Holder Extended Range (-40°C – +150°C): Extended range thermoelectrically cooled 4-window cuvette holder with controller that enables stable temperature control of samples from -40 °C to +150 °C (-10 °C with dry gas flow, 5 °C without gas flow). The temperature can be held constant with ±0.02°C precision and can be rapidly changed. The temperature range can be extended below -10°C and above +150°C with a special cover in place and for temperatures below -10°C chilled coolant fluid will be required. A magnetic stirrer (without stirrer bars) is included. The TE cooled sample holder is fully controlled by the spectrometer operating software F980. Single photon counting detectors comprise a single photon counting photomultiplier, together with an optimised dynode chain, mounted in a light tight cooled or un-cooled housing. The detectors include the coupling flange with the adaptive optics for direct compatibility with all of Edinburgh Instruments’ spectrometers. The following PMTs are available: Standard PMTs up to 1010 nm, High speed PMTs up to 850 nm, MCP-PMT up to 850 nm, NIR-PMTs up to 1700 nm and gated PMTs. Standard Range (220 nm – 900 nm): Glan Thompson polarising prism. Spectral range 220 nm – 900 nm. The polariser can be manually moved into or out of the beam. The position is recognised by the computer. When in the beam, the polarisation angle is fully computer controlled. Automated anisotropy measurements are possible if both excitation and emission polarisers are present. Extended Range (240 nm – 2300 nm): Glan Thompson polarising prism. Spectral range 240 nm – 2300 nm. The polariser can be manually moved into or out of the beam. The position is recognised by the computer. When in the beam, the polarisation angle is fully computer controlled. Automated anisotropy measurements are possible if both excitation and emission polarisers are present. The standard F980 software package can be upgraded to include the FAST software package. This is used for advanced fluorescence lifetime analysis and includes features such as lifetime distribution analysis and exponential components analysis. Please click on the link to learn more about FAST software or contact us directly. What is your expected excitation wavelength range? What is your expected emissions wavelength range? What is your expected emissions intensity? What are your sample type(s) and material(s)? Will you require polarisation/anisotropy measurements? Will you require temperature control? Will you require quantum yield measurements? 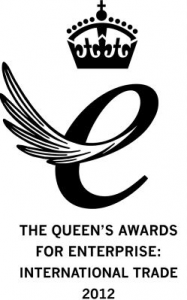 Do you have a timescale or budget currently in place?